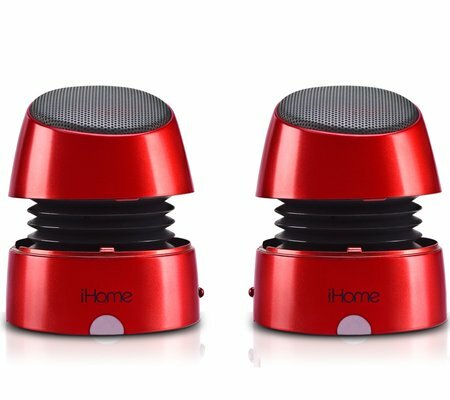 Sam Levin looks at the iHome iHM79 Portable Multimedia Speakers. The iHM79 is the perfect stereo speaker system for your iPod, iPhone, iPad, Macbook or any Laptop and MP3 player. These compact speakers attach magnetically in a capsule shape for ultimate portability, then separate and extend for surprisingly big stereo sound that must be heard to be believed. This entry was posted in AppMinute Podcast and tagged in iHM79, iHome, Speakers.